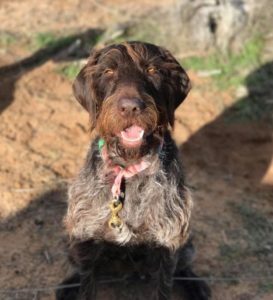 My name is Archie, I’m a 4-year-old German wire hair pointer. My favourite summer sport is swimming at the beach where I’m pretty quick at chasing tennis balls! My favourite winter sport is dryland dog sledding! I have a brother Freddie. He is a German shorthaired pointer and I love him more than my mum and dad! Shhh… please don’t tell them that. What my family loves most about me is that I’m very loving and intuitive. When my mum was pregnant I stuck by her side like velcro and was her own personal body guard. They’ve never had a dog like me before! My name is Dobby. I’m a 5-year-old ex-racing greyhound. 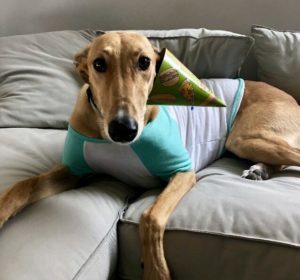 It pains my family to think that I was a racing dog, but now I’m living a life of luxury! A few of my favourite things to do are going to the park to watch the ducks swim around, playing with my wobble wag giggle ball (I lose my mind over it!!! ), and also laying on the sofa ignoring the humans when they call me. My best friend is an English cocker spaniel called Elliott. We playfight constantly and sleep together every night. What my family loves most about me is my charming personality and stunning brown eyes. They also like my cheekiness. I will drink from their cups when they aren’t looking!! It’s a bonus when it’s from my dad’s beer bottles! My name is Douglas. I’m a 5-year-old great dane. I love chasing my dad around at the beach or the park and sleeping on the human bed. My favourite toy is my panda and I have a few best friends called Moose, Magpie, and Hank. What my mum and dad love most about me is that I love them no matter what and I helped them learn so much about being a good dog owner! Their favourite memory of me is when they rushed me to the vet at midnight to donate blood and save another dog’s life. My name is Felice. I’m a 3-year-old Irish wolfhound x, although sometimes my mum calls me a “lounge-hound.” I do love all of the beds. I have a special chair, a woolly dog bed, and the lounge to choose from. Sometimes I get the zoomies and when I’m not laying around, I like to go for walks with my mum. After our walk she throws the ball for me to chase. When I bring it back I put the ball on top of the bench so my mum doesn’t have to bend down every time! What my family loves most about me is my deep affection for them, and sometimes I make some pretty weird sounds! They also love that I help other dogs by being a blood donor. My name is Harry. 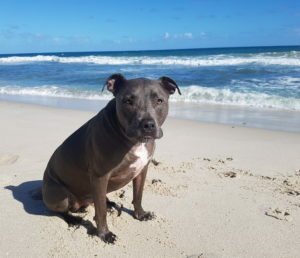 I’m an 8-year-old staffy and member of the Animal Emergency Care team. My mum is Dr. Lou and she’s our head veterinarian at AEC. I always go to work with mum to provide cuddles and moral support to the whole team! It’s a tough job but somebody has to do it. Occasionally when I’m at work I have to donate blood for a patient in need. 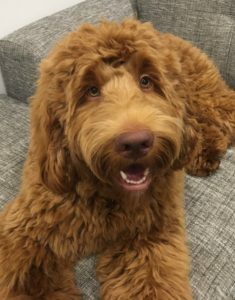 I don’t mind it ’cause I get lots of love, attention, and treats! Eating is at the top of my list of hobbies. Raw carrots and meaty bones are the best. I also love going to the beach for a swim. My name is Leroy. I am an 8-year-old staffy. I have just retired from donating blood as I’m a little older now. But I have done 8 blood donations in my life! As you can see, I love swimming at the beach and eating ice cream! My favourite day of the week is Sunday because that’s when I get a bath and my family takes me to Bunnings for a sausage sizzle. My best friends are Tank and Rocco and my toy panda. My name is Lutz. I’m a 5-year-old German shepherd. I’m a bit of a mummy’s boy so my favourite place is anywhere that is near mum, or on my special mat near the kitchen. I love to travel and if the car door is open, I will leap in at any opportunity!! I even like going to the vets and can’t seem to get there fast enough! I am capable of holding two balls in my mouth at a time. When that’s not enough, I like taking other dog’s balls at the park too! 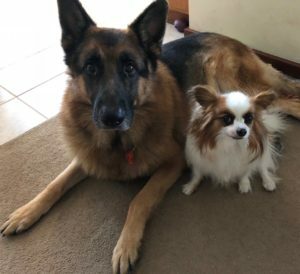 My best friend (and boss) is Peggy the 4kg papillon. She wears the pants ‘cause she was here first. One of my jobs around the house is to be a lifeguard when the children are in the pool. I worry and keep a constant eye on them. What my family loves most about me is my friendliness and eagerness to please. My name is Odin. 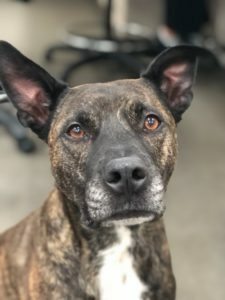 I am a 4-year-old staffy. My nickname is Piglet because my favourite food is ANYTHING and EVERYTHING!! My favourite place to be is the couch ‘cause I’ve found it’s the best place to get naps and cuddles. What my family loves most about me is my soft ears and squishy face. My best friend is my fur-sister Zelda, we are inseparable! My family’s favourite memory of me was the first night they brought me home. My name is Pepper. I’m a 7-year-old poodle x. I love swimming in the pool and going to the beach, and I do love a good ice cream cone! I’m proud to say I’ve had the same ball for 5 years and it’s my favourite toy. I have two best friends, Roxy the rottie and Heidi the German shepherd. I once taught Heidi how to play tug of war by putting the end of the rope in Heidi’s mouth and encouraging her to pull! My family loves my kind and gentle nature. My name is Rani. 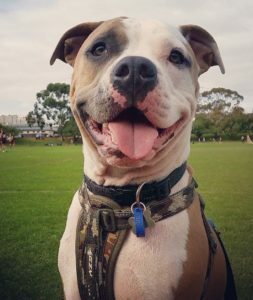 I’m a 2-year-old mastiff x. I love walking around Lake Monger, playing in the park or sleeping on the couch next to my dad! I can play fetch and never get tired, especially when we play with my grippy rubber throw ball! 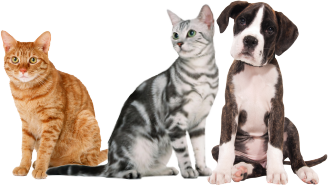 I have another canine companion called Simba and two feline ones called Chloe and Sparkles. The cats are blood donor heroes too. My dad likes that we donate blood. He says that for a bit of effort, time, and energy we can all make a positive difference through our lives and make it count for something worthwhile. My name is Rocky “Balboa” Botsis. 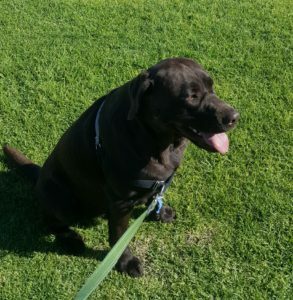 I’m a 3-year-old chocolate lab. I absolutely LIVE for meeting other dogs and peeing on as many trees as possible!! I don’t have a favourite toy because I destroy them all before I can get attached to them. I had a best friend called Bear, but we moved away and we don’t get to hang out anymore. I’m waiting for my little human brother Darragh to start crawling/walking and eating food so that I can play with him and steal his food! My name is Stella. 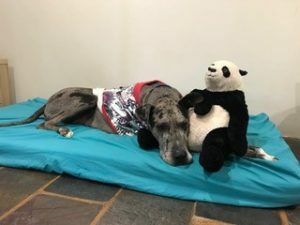 I am a 3-year-old great dane. I love holidaying down South in Margaret River or Albany. 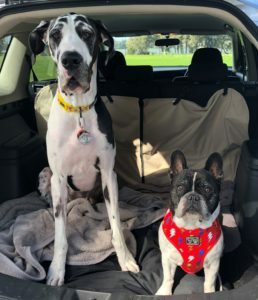 My best friend is my big brother Frank the frenchie. We spend a lot of time chasing each other and going for a ride in dad’s car. My family loves my big personality. I’m very cheeky but I’m also a big sook! My name is Storm. 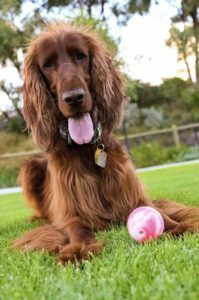 I’m a 5-year-old Irish setter/cuddle monster. I love snuggling on mum’s lap and falling asleep. I don’t think she minds that I’m over 30kgs. When I stop getting pats I simply tap the humans with my paws until they resume the pats. I love watching the birds at the beach and going swimming. I also need to lay down in every puddle I can find. My best friend is my brother Dash, we do everything together! My name is Vinny. 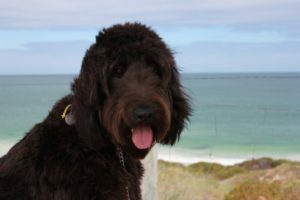 I am a 1-year-old labradoodle that loves the beach! I go crazy in the water and was born for it! I like going for daily walks at the local park with my doggy friends, going to Bunnings and getting pats, and pulling apart any stuffed toy! My best friend is Roger the maltese poodle x. My mum loves that I’m a handsome boy who loves cuddles and giving kisses. She loves seeing my cheeky face every day! 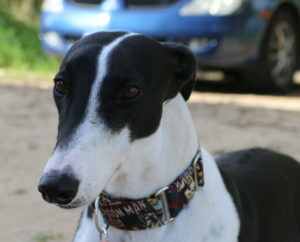 My name is Wren and I’m a 3-year-old greyhound. I just learned to play with toys but can’t decide on a favourite. It’s a tough call between my stuffed dinosaur and my grey suede boot. 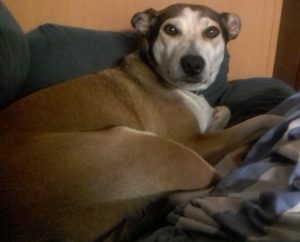 My best friend is Violet, a rescue ridgeback from Kalgoorlie, but I have a lot of other pals, admirers, and boyfriends. Some of the things that keep me occupied in the day are walking past boys, flirting with boys, hurling myself into the arms of strangers, and sleeping! My mum thinks I’m just so lovely! Her favourite memory of me is when I finally realised the noise she kept making at me was my name, and I was very glad to have one!